Forget the bears, we are talking weasels now. Yep, weasels. Only these three guys were found inside the wall of a Greenwich home by Brian Sweig with Thoroughspect, not outside wandering around. Sweig was just as surprised as the homeowner when he opened the wall to find out what had been scurrying around and found not a mouse or a squirrel, but three very active weasels. "In all my years of doing this, it's only the second time I have found a weasel, and the other one was in Greenwich too," he laughed. 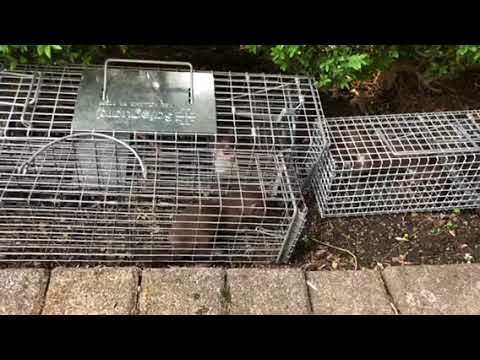 In fact, it's so rare, that state wildlife officials told him his first report a couple of years ago was the first they have ever received for someone finding weasels in a home. The nature-loving Sweig, who lives in Patterson in Putnam County, said the rascals "were properly dealt with according to nuisance wildlife control practices"
"When you have weasels in your home there is a pretty good chance you have a serious rodent problem as these are the ultimate predators of mice, and other small critters," he added. To make sure the homeowner doesn't have any more weasel problems, he's sealing the outside of the home because he never uses poison. View a video of the three weasels in the second image above or by clicking here. To get in touch with Sweig, visit www.thesealer.com .